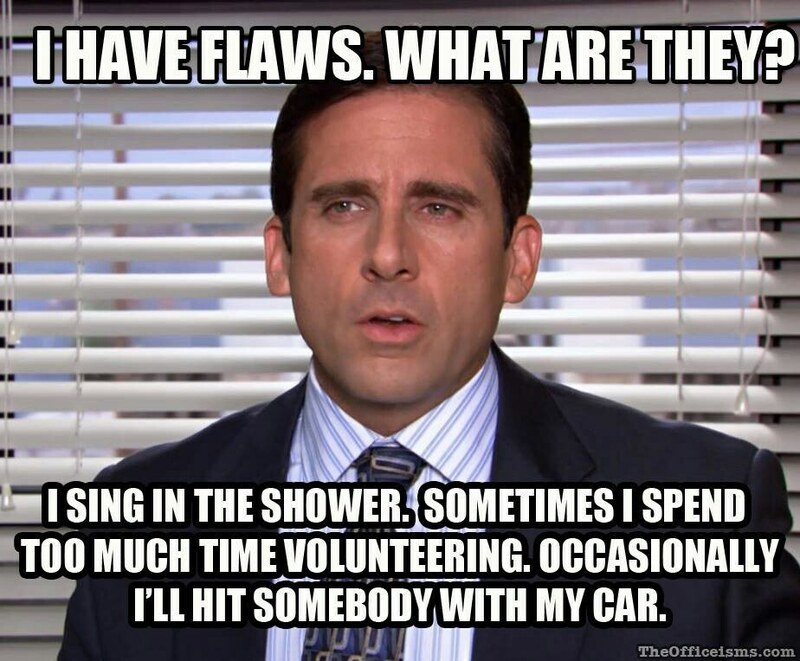 Twenty recognizable and funny quotes from your favorite show to binge-watch, "The Office." 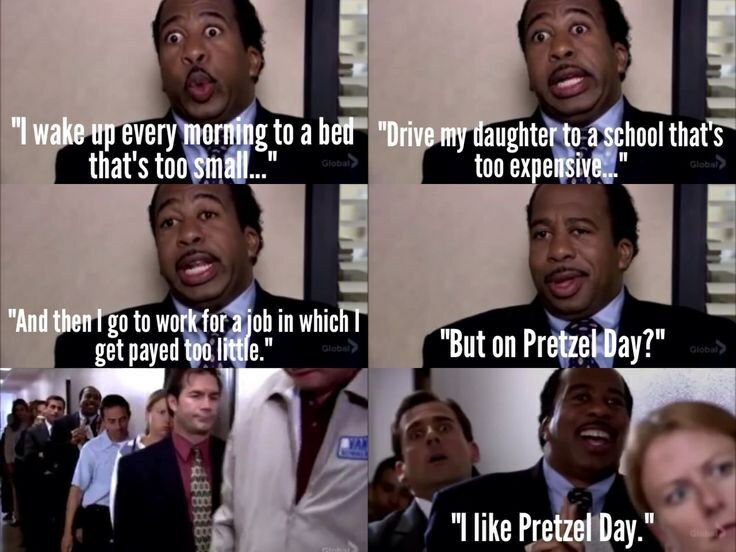 Everyone loves "The Office." So, I decided to take a survey and ask all "The Office"-lovers in my life what their favorite quotes are. Here is a list of the top 20 quotes people ranked as their favorite. Creed hiding from the cops when Michael calls them because Toby had "weed" in his desk drawer. When Andy ate Gabe's seahorse powder at Gabe's dinner/"Glee" viewing party. Michael telling Andy he is always Beyonce. Pam talking about Dwight taking the master key and the back up key for the office when they all get locked out. Ryan freaking out about hooking up with Kelly the day before Valentine's Day. Kelly talking about "talking smack" when Darrel and Jim were facing each other in ping pong. After Ryan set the office on fire and Dwight figured out it was him. Right before Michael pretends to be depressed to prove a point to the wear house workers. Michael being "Prison Mike" to try and relate to one of the new employees who has a criminal record. After Darryl gets the hat as a present from the girl he has a crush on. Michael after getting talked to about the joint found in the parking lot. 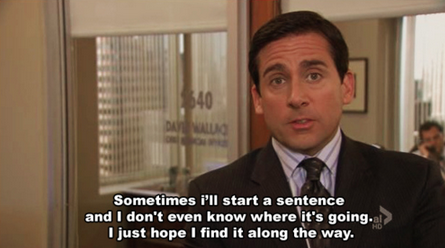 Michael talking about not knowing his next words in a sentence right before going to talk to the CEO of Dunder Mifflin. 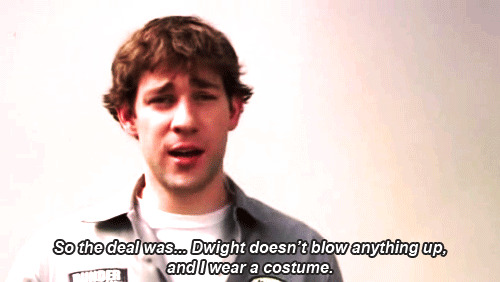 When Jim dresses up as Dwight and acts exactly like him. What Jim concluded after Michael hit Meredith with his car. 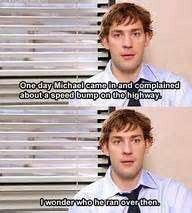 Michael defending himself after hitting Meredith with his car! Just one of the million times Stanley screamed at Michel. 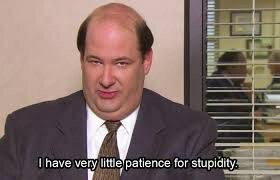 Kevin talking about his co-workers being stupid. Only the best for last.